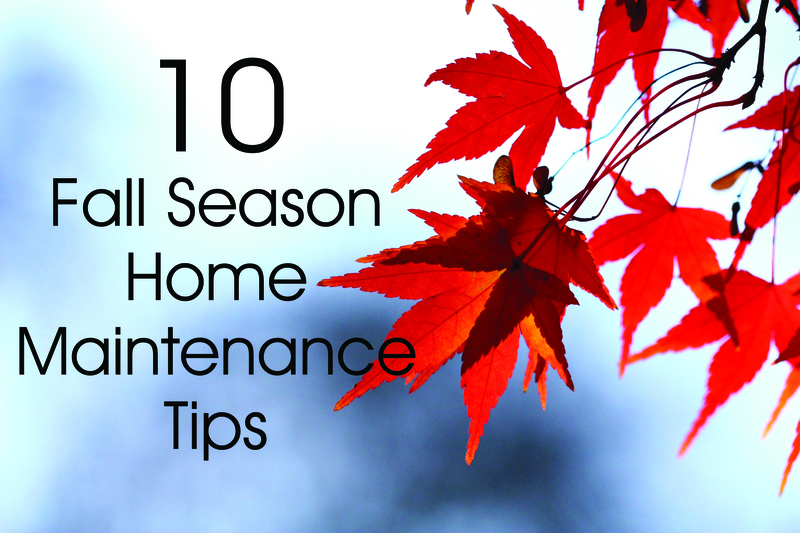 Perhaps the most important place to start with fall home maintenance is outside, especially around driveways, front steps and other parts of the home where people are going to be walking and where ice, snow and slush can make their unwelcome presence felt. Identifying areas where stairs may need to be repaired, cracks and holes patched or smoothed, will help keep you safe from dangerous slip-and-falls. Also, be sure there are lights to illuminate pathways and sidewalks. Homeowners should also make sure sprinkler systems are flushed out and exterior water connections are shut off to sprinkler systems and outdoor spigots. This will prevents the possibility of having pipes freeze and later bursting. Store all water hoses inside the garage. If you know there has been water buildup in certain parts of your lawn – especially around the home’s foundation – think about ways to redirecting it. Experts recommend ensuring a six-inch vertical slope over 10 feet of space to usher water away from a home. Be sure the lawn is in good shape as fall arrives. 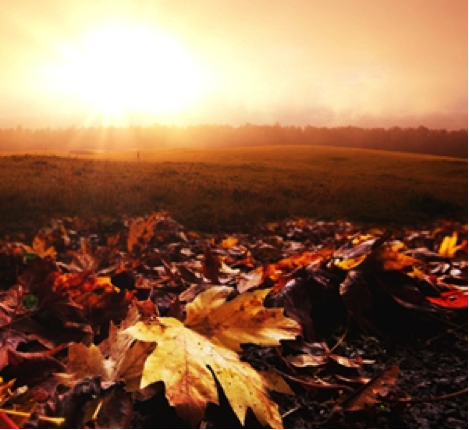 Stay on top of raking when foliage starts to fall. Letting all those fallen leaves sit on a lawn over the winter, especially when compacted by snow, can create dead spots in the grass next spring, so clearing leaves before serious snowfall arrives is a must. In addition to clearing leaves, it’s also important to clear out the gutters. Clogged gutters can lead to ice dams, which then result in water building up as snow melts – and potentially leads to a leaky roof. Don’t let warm air escape your home this winter. Use exterior caulk around your home’s exterior to seal any cracks between the trim and siding, windows and door frames. It’s always a good idea to schedule check-up professional maintenance for your heating system to make sure it is in tip-top shape for colder days. Be sure to change your furnace filters regularly. Make sure the damper opens and closes. Look up into the flue to make sure it is not obstructed with leaves or bird nests. Consider a fireplace and chimney inspection to fix any damaged bricks and mortar. Need help with your list of things to do this fall? Be sure to contact Sibcy Cline Home Services. They can recommend vetted, home-related services and vendors to you. Fall is here, and that means winter is right around the corner. And with winter comes bad weather, driving rain and mounds of snow – all of which can do a number on any property. That is, unless homeowners take some proactive steps right now, during the fall. The few months leading up to winter are the perfect time to tackle home maintenance, before the weather starts to get in the way. Naturally, the heating system is one of the most important components of a home during the winter. This is why it is especially crucial to inspect heating units as well as the chimney and fireplace during the fall. Regarding the latter, a certified chimney sweep is a must. It takes a trained eye to identify any problems here, plus a professional service provider can offer cleaning services if necessary. Caulking makes for an airtight seal around all windows and doors. During the spring and summer, caulk can start to wear down and break apart. That means cold air will get in during the winter and hot air will escape. Each fall, homeowners should check caulking and add new caulk to windows and doors where needed. Caulking is fairly easy to do, and compared to other maintenance tasks it’s fairly inexpensive. Checking insulation will have a major effect on heating and cooling during the winter. The goal is to have the insulation thick enough to keep hot air inside, as well as level all the way across the attic. Any uneven spots will let heat escape. If this happens, a home could end up with ice dams – which occur when a roof is too hot in the middle, melting the snow, only to have it refreeze down near the gutters. Quality insulation can prevent this from happening. The fall is also the perfect time to seal the driveway. Any minor cracks, bumps or damage can get a lot worse over the harsh winter. Sealing the driveway will protect the asphalt from the elements and keep it looking great into the spring. Best of all, the cost of a sealer is much less than repairs to a damaged driveway. Beautiful, massive trees can certainly be an attractive feature of any yard. But during the winter, these same trees can become a hazard. Snow and ice will weigh down branches, which can tear down trees onto the yard, driveway or home itself. This is why it is a good idea to trim back trees. Homeowners should make sure all limbs are at least 10 feet back from the home, or remove risky trees altogether. Need assistance with your home maintenance? Contact Sibcy Cline Home Services. Brought to you by our preferred Partner, HMS Home Warranty. HMS is an industry leader with over 30 years of creating success for clients and providing peace of mind for customers. To learn more, go to www.hmsnational.com. There are few things better than sitting next to a cozy fire when the cooler temperatures settle in. Before throwing another log on the fire, it’s important to know that your fireplace is working under safe conditions. Here are a few steps you should take to ensure your fall fire doesn’t turn into a holiday hazard. 1. Hire a chimney sweep. The National Fire Protection Association recommends clearing your chimney of soot and debris once a year. 2. Check chimney structure for loose bricks, missing mortar and cracks. Chimney liners should also be checked for any wear or deterioration. 3. Cap the chimney. You want the smoke going out without the critters and rain coming in. 4. Burn seasoned hardwoods. Make sure to burn split, seasoned hardwoods like oak, ash, and maple. Hardwoods that have been seasoned produce less creosote, a flammable by-product of combustion that can build up in the chimney. 5. Keep it small. Fires that are too large or get too hot could potentially crack the chimney. 6. Play it safe. Use a spark guard to prevent embers from shooting out of the fireplace. 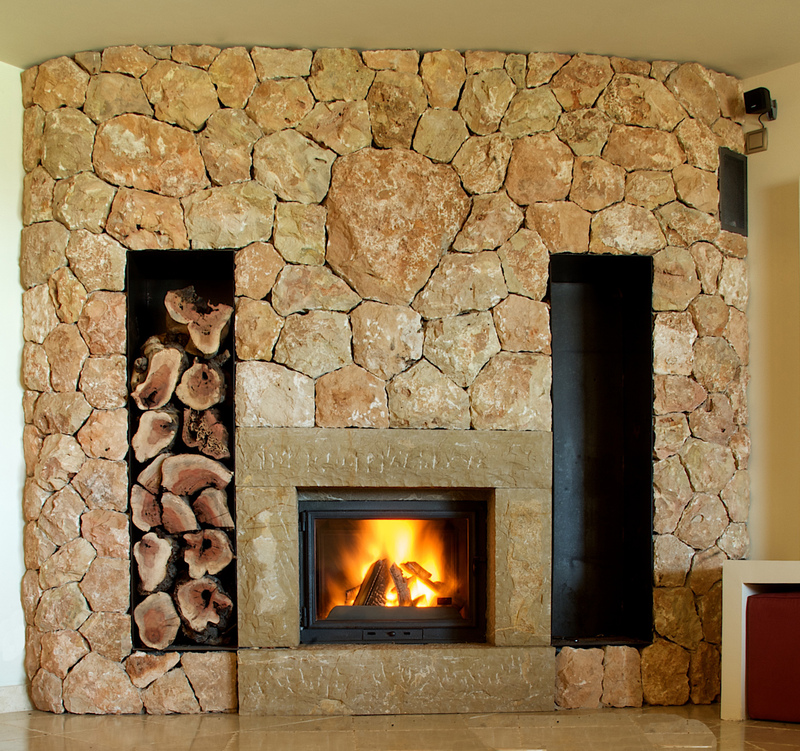 Here are a few more helpful tips for fireplace maintenance. Need help consulting a trusted professional, contact Sibcy Cline Home Services. Fall is upon us and with the change of season comes a whole list of items around the house to check on and address. 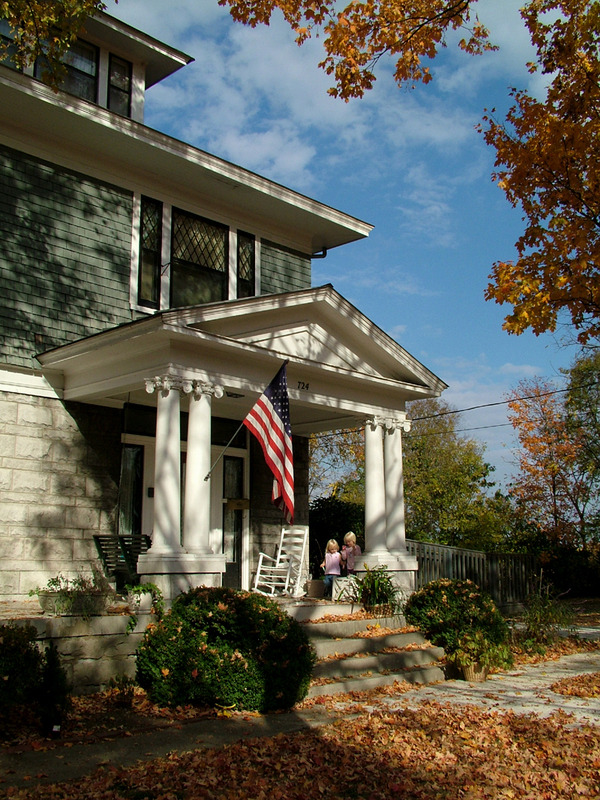 Below are a couple of ideas on how to stay on top of your home maintenance in the month of October. Some people like to change their air filter every month, especially if they have pets or are particularly sensitive to dust. If you don’t change your air filter out monthly, October is a great month to put a new one in. While October usually presents nice, mild weather, it is a good time to consider cleaning and installing your storm windows. Any barrier from the cooler weather outside will keep your heating costs down. If storm windows aren’t an option for your windows, sealing out the cold with plastic sheeting kits is another option. A great way to reduce cold air from creeping in this winter is to go around to all doors and windows and check the caulking and re-seal, if necessary. Also make sure to check any seams in the siding of your house or places where two different building materials connect. Check the weather stripping around your exterior doors for damage or wear. Replacing old weather stripping can reduce drafts and increase your home’s energy efficiency. Once the leaves have dropped it’s important to make sure your gutters are clear of leaves and debris. Clogged gutters can cause overflow and water damage to the house. October usually doesn’t conjure a mental image of a lawn mower, but it’s a great time of year to service your mower before stowing it away for a long winter’s nap. 1. Check the exterior of your home for peeling paint. If paint is peeling, scrape it and repaint. This will protect your home from deterioration. 2. Clean the gutters and downspouts. Once the leaves have fallen be sure to clean your gutters. 3. Caulk the windows. Well-sealed windows prevent heat from escaping. 4. Inspect the roof. Look for missing or loose shingles. It is best to make repairs now before snow and ice cause water damage. 5. Fireplace inspection. Have your fireplace professionally serviced so it is in good working order and to prevent carbon monoxide poisoning. 6. Seal the driveway. Fill in the cracks and top with a sealer. 7. Ceiling fan rotation. Change the direction of your ceiling fan to clock wise to redistribute the warm air from the ceiling. 8. Cover the air conditioner. Protect the air conditioner from elements during the winter by covering it. 9. Turn off exterior hose bibs. This will prevent water pipes from bursting. 10. Divide perennials in the garden. Fall is a good time to divide or move perennials. Mulch them after the first hard freeze. Need help with you home maintenance? Contact Sibcy Cline Home Services.